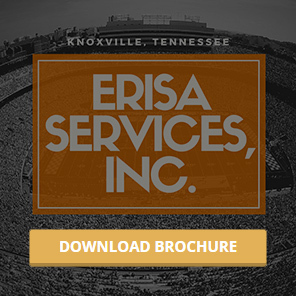 Glossary of Terms – ERISA Services, Inc.
401(k) Plan: A type of Defined Contribution Plan which allows participants to elect to defer a percentage of their pay to the plan. The employer may also make contributions under this type of plan normally in the form of profit sharing or matching contributions. 401(k): A section of the IRS code which allows an employer to set up a savings plan where employees can make contributions. These contributions can be treated on a tax-deferred basis, meaning you don’t pay taxes on these monies and their investment earnings until they are paid to you from the plan. 403(b): A section of the IRS code that allows certain tax-exempt organizations, schools, and charitable organizations to set up savings plans as described in 401(k) above. 404(a)(5): Participant-level disclosures which must be issued to participants and beneficiaries in participant-directed individual accounts plans, including plans such as 401(k), 403(b) and money purchase pension plans. These disclosures must be given on an annual and quarterly basis. 408(b)(2): Plan sponsor disclosures that must be issued from covered service providers who expect to receive $1,000 or more of direct or indirect compensation over the life of the contract. 457(b): A section of the IRS code that allows certain state and federal governments and agencies to set up savings plans similar to that described in 401(k) and 403(b) above. The main differences are that there is never a matching contribution allowed in this plan, and the IRS does not consider it a qualified retirement plan. ACA: Automatic Contribution Arrangement. An arrangement where an employee is deemed to have elected to contribute a percentage of their compensation to the plan, unless they specifically elect in writing not to defer compensation. ACP Test: Actual Contribution Percentage Test. The ACP test uses a similar method as the ADP test, except that it used matching contributions and/or employee after-tax contributions. (Please reference ADP definition). Safe Harbor plans may avoid the ADP/ACP test entirely. Administrator: Usually means the Employer unless another person or entity has been designated by the Employer to administer the Plan on behalf of the Employer. ADP Test or Actual Deferral Percentage Test is an annual test in a 401(k) plan that compares the average salary deferrals of highly compensated employees (HCEs) to that of non-highly compensated employees (NHCEs). Each employee’s deferral percentage is the percentage of compensation that has been deferred to the 401(k) plan. The deferral percentages of the HCEs and NHCEs are then averaged to determine the ADP of each group. To pass the test, the ADP of the HCE group may not exceed the ADP for the NHCE group by 1.25 percent or the lesser of 2 percentage points and two times the NHCE ADP. Safe Harbor plans may avoid the ADP/ACP test entirely. Annuity: A form of insurance contract that provides a stream of periodic payments, typically for life. Annuities are available in a variety of forms. See also Joint and Last Survivor Annuity. Asset Class: A group of securities or investments that have similar characteristics and behave similarly in the marketplace. Three common asset classes are equities (e.g., stocks), fixed income (e.g., bonds), and cash equivalents (e.g., money market funds). Asset: Anything with commercial or exchange value owned by a business, institution, or individual. Examples include cash, real estate, and investments. Beneficiary: A person to whom you want to leave assets in the event of your death. Blackout Notice: A notice to participants of a Plan that informs them of a Blackout Period. There are specific guidelines concerning the notice content, distribution and timing. It also must include the last day that participants may exercise affected rights. Blackout period: A temporary period of time during which participants will not be able to direct or diversify their investments, take a loan, or otherwise make changes to their retirement accounts. Typically occurs when major changes are being made to a plan. Catch-up Contribution: Catch-up contributions are special provisions that allow you to contribute additional funds to your retirement accounts as you get closer to retirement. Two types of catch-up contributions include the “50 and over catch-up” and the “403(b) 15-year catch-up” contributions. CODA: Cash or Deferred Arrangement. A plan that gives a participant an option to take cash, or have the employer contribute the money, to a qualified plan as an employer contribution to the plan. Most commonly found in 401(k) plans. Comparability Plan: A plan in which the contribution percentage formula for one category of participants differs from other categories of participants. A Comparability Plan is tested under the cross-testing rules in order to satisfy the nondiscrimination requirements. Compensation: The amount of a participant’s taxable and non-taxable wages, salary, fees or earned income as defined in the Adoption Agreement. Deferrals/payroll deduction: A portion of a participant’s current salary that is invested in a retirement plan. Defined benefit plan: A company retirement plan, such as a pension plan, in which a retired employee receives a specific amount based on salary history and years of service, and in which the employer bears the investment risk. Defined contribution plan: A company retirement plan, such as a 401(k) or 403(b) plan, in which the employee elects to contribute some amount of his or her salary into the plan (usually pretax). Determination Letter: A letter issued by the IRS determining whether a plan meets or does not meet the requirements for qualification. DFVC: Delinquent Filer Voluntary Compliance. A DOL program to encourage delinquent plan administrators to comply with the annual reporting requirements, through reduced penalties. Distribution: The payment of a participant’s vested account balance from the plan. This payment is normally restricted to limited qualifying events such as retirement, death, total and permanent disability or termination of employment. EACA: Eligible Automatic Contribution Arrangement. Early & Normal Retirement: A date specified in the Adoption Agreement in which a participant has met certain qualifications for either a distribution of their account balance or other plan requirements and which is based on the participant’s age, years of service with the employer or both. Eligibility: The qualification requirements used in determining an employee’s eligibility to join the plan. Usually defined as satisfaction of both an age and service requirement, such as age 21 and 1 Year of Service, the requirements must be satisfied prior to an employee enrolling as a plan participant. Employee Deferral: The amount or percentage of a participant’s compensation that has been elected for contribution to the plan. This amount is deducted each payroll period and not subject to Federal Tax and certain State’s taxes but is subject to Social Security Taxes. These amounts are always 100% vested. Entry Date: The date(s), specified in the Adoption Agreement, on which an employee who has satisfied the plan’s eligibility requirements may join the plan. Fiduciary: An individual, corporation, or association holding assets for another party, often with the legal authority and duty to make decisions regarding financial matters on behalf of the other party. Fiscal Year: the employer’s 12- month accounting year. Hardship Withdrawal: A withdrawal option in some defined contribution plans that allows the early withdrawal of money from the plan for certain types of demonstrated financial problems. Hardship withdrawals cannot be repaid to the plan and have very strict circumstances under which they are granted. Tax implications apply as well as a one year restriction on participant deferrals from the date of the withdrawal. HCE: Highly Compensated Employee. An employee who was a 5% owner during the determination year, or had compensation in excess of $80,000 and was in the Top-Paid Group. Individual Retirement Account (IRA): A personal savings plan trusteed by a bank or a qualified nonbank trustee. It allows you to set aside money for retirement while offering tax advantages. Types of IRAs include the Traditional IRA, SIMPLE IRA, and the Roth IRA. In-Service Withdrawal: A withdrawal made by an active employee from a qualified plan account without demonstrating a specific financial need. Participants must meet certain requirements, depending upon the plan, which may include a minimum age restriction (usually age 59 ½), a length-of-service requirement, or both. Joint and Last Survivor Annuity: An annuity that provides periodic payments for the joint lives of two individuals with benefits payable upon the death of one individual to the surviving individual at, for example, 50%, 75%, or 100% of the original payment amount depending upon the terms of the contract. Key Employee: A participant who, during the plan year, is an officer with compensation greater than $130,000, a more than 5% owner, or more than 1% owner whose compensation exceeds $150,000. Matching Contributions: An amount contributed by the employer to a participant’s account based on a formula related to a participant’s salary deferral contributions. This formula may be fixed or discretionary. If discretionary, the matching contribution formula may vary from plan year to plan year. This type of employer contribution is typically subject to a vesting schedule. Money Purchase Plan: A type of Defined Contribution Plan. Contributions in a Money Purchase Plan are made by the employer who has a fixed obligation to make such annual contributions to the plan. These contributions are usually based on a document defined percentage of each participant’s pay. Non-Discrimination Requirements: A retirement plan is a qualified plan only if the contributions or benefits provided under the plan do not discriminate in favor of HCEs. Participant Directed Account: The portion of a Participant’s interest in the Plan with respect to which the Participant has directed the investments. Participant Loan: If allowed by the plan document, a participant may apply for a participant loan to be taken from their vested account balance. This amount must be repaid to the plan, which is usually required through payroll deductions on an after-tax basis. Plan Year: The Plan’s accounting year as specified in the Adoption Agreement. Unless there is a Short Plan year, the Plan year is a 12-month period. Profit Sharing Contributions: Also know as a discretionary contribution, this type of contribution is made by the employer and allocated to participants pursuant to a definite predetermined formula. This type of contribution is typically subject to a vesting schedule. Profit Sharing Plan: A type of Defined Contribution Plan. Contributions in a Profit Sharing Plan are made by the employer and allocated to participants’ accounts based on a definite predetermined formula. Contributions are discretionary and may or may not be made from plan year to plan year, with or without regards to profit, as defined by the plan. Qualified Domestic Relations Order (QDRO): A legal order subsequent to a divorceor legal separation that splits and changes ownership of a retirement plan to give the divorced spouse their share of the asset or pension plan. Qualified Retirement Plan: A retirement plan approved by the IRS that allows for tax-deferred accumulation of investment income, e.g. 401(k) plans. Required Minimum Distribution (RMD): RMDs generally are minimum amounts that a retirement plan account owner must withdraw annually starting with the year that he or she reaches 70 ½ years of age or, if later, the year in which he or she retires. Rollover Contributions: If allowed in the Adoption Agreement, a contribution made by an employee, attributable to a distribution from active participation in a prior qualified retirement plan or a rollover IRA. This type of employee contribution is always 100% vested (fully owned by the plan participant). Roth contributions: The Roth contribution feature permits eligible plan participants, regardless of income, to make after-tax contributions to a qualified Roth account. In addition, qualified distributions from a Roth account are free from federal income tax. Safe Harbor 401(k): A safe harbor 401(k) plan is similar to a traditional 401(k). One difference is it must provide for immediate vesting of required employer contributions. Safe harbor 401(k) plans may not be subject to some of the annual testing associated with a traditional 401(k) plan. Summary of Material Modification (SMM): A disclosure of any change in the provisions of the plan or in the administration of the plan that constitutes a material modification. Summary Plan Description (SPD): A written description of the plan designed to provide a participant or beneficiary with a comprehensive but understandable overview of how the plan operates. Terminated Employee: An employee who has terminated their employment with the employer. Third Party Administrator (TPA): An entity, organization or firm hired by the employer to assist the actual Plan Administrator in fulfilling its duties required under the terms of the plan. Third Party Administrators typically provide services such as: designing, producing, amending and restating plan documents; aiding in the transition from the plan’s current investment platform to a newly selected investment platform; preparing employer and employee benefit statements; assisting in processing all types of distributions from the plan; preparing loan paperwork; testing the plan each year to gauge its compliance with all IRS non-discrimination requirements; allocation of employer contributions and forfeitures; calculating participant vested percentages; preparing annual returns and reports required by IRS, DOL or other government agencies and other duties as required by the employer. Top-Heavy Plan (TH): A plan that benefits key employees is considered top-heavy. Vested Percent: The nonforfeitable portion (percentage) of a participant’s account balance attributable to employer contributions. Typically these sources of money utilize an identical vesting schedule, but they may be different for each source. Vesting Schedule: A schedule defined in the Adoption Agreement based on years of service with the employer. Each year of service is credited with a vesting percent, with a maximum service of no more than 6 years before they are considered 100% vested in employer contributions. An employee is given credit for a year of service with the employer once they have satisfied a defined number of hours during the plan year. A plan may disregard years of service with the employer for service performed prior to the plan’s effective date and/or service performed prior to a participant turning age 18. Volume Submitter Plan: A type of individually-designed plan that is submitted to the IRS by a qualified practitioner and requests a determination letter with respect to an employer’s adoption of a plan that is identical or substantially similar to an approved specimen plan. Volume submitter plans are pre-approved by the IRS. This means that as long as an employer does not deviate from the pre-approved language, the employer generally will have reliance that the terms of the plan satisfy the requirements of the Internal Revenue Code. Voluntary Correction Program (VCP): A program that permits plans sponsors to voluntarily correct qualification failures in a qualified plan and to obtain a compliance statement from the IRS. Worker, Retiree, and Employer Recover Act of 2008 (WRERA): This act suspended required minimum distributions for 2009, mandated nonspouse beneficiary rollovers, and provided funding relief for defined benefit plans in addition to other provisions. Year of Service: A defined number of hours of service, specified in the Adoption Agreement, an employee must perform for the employer during the plan year in order to be credited with a year of service.